With the GT3 title now a mathematical possibility of securing for the class leading Barwell Lamborghini of Jon Minshaw and Phil Keen at the penultimate round of the British GT Championship from Brands Hatch this weekend, Sunday's two hour will become a boom or bust round for the chasing Aston Martin Racing pack to take the Championship to another, final round decider in September. 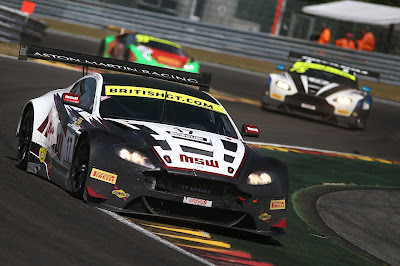 Minshaw and Keen presently lead the Optimum Vantage GT3 of Flick Haigh and Jonny Adam by fourteen points with the TF Sport duo of Mark Farmer and Nicki Thiim just 3.5 points further back and is a repeat of previous seasons when those trailing the leading Lambo have gone on to lift the Championship. 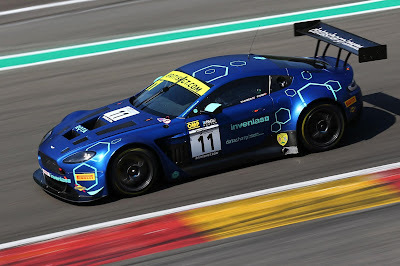 Metaphorically, the #11 Farmer/Thiim car is on the back foot with a very early DNF at the last round at Spa Francorchamps when Farmer was 'rudely' pushed off the circuit going into the very fast Eau Rouge by a guesting Mercedes AMG GT3 leading to a spectacular fiery finish to their race. Although not technically an engine failure in its own right, damage sustained in that incident would have necessitated a new engine. Hopefully, that incident will not prove too costly for the #11 car. Having gained pole at Spa, Haigh and Adam eventually finished a very close fourth on track but that was to be elevated to third after the #17 TF Sport car of Derek Johnston and Marco Sorensen was served with yet another post race time penalty that saw them drop down to seventh overall. That query of fate against their stablemate at least keeps there own title aspirations very much alive although they will have a 10 second success penalty applied to them this weekend whereas the Barwell car is penalty free. 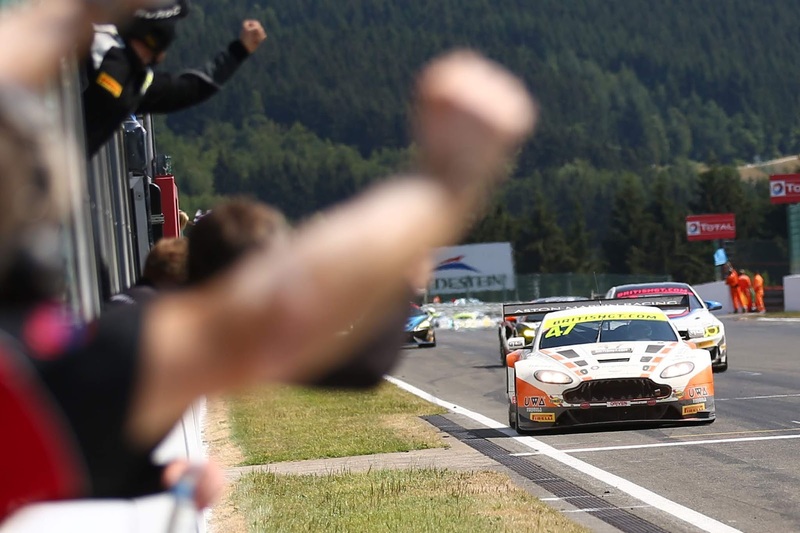 Still riding high on the crest that was your first British GT overall win is the Jetstream Motorsport crew of Graham Davidson and Maxime Martin who grabbed the opportunities presented to them on track with both hands to secure a race winning margin of over seven seconds. 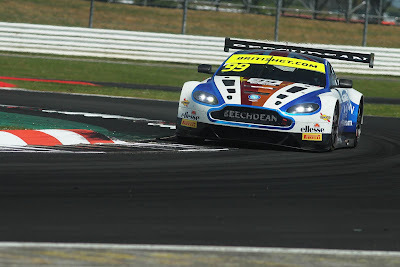 Having come so close to a race winning performance before at Silverstone and Rockingham it was great to see self discipline instilled to avoid any repeat penalties/incidences that have blighted them before. Conversing with Davidson over social media this afternoon he was slightly disappointed that their inaugural win in the Championship having moved over from GT Cup had been 'lost' in the build up to the Blancpain Spa 24hr race. 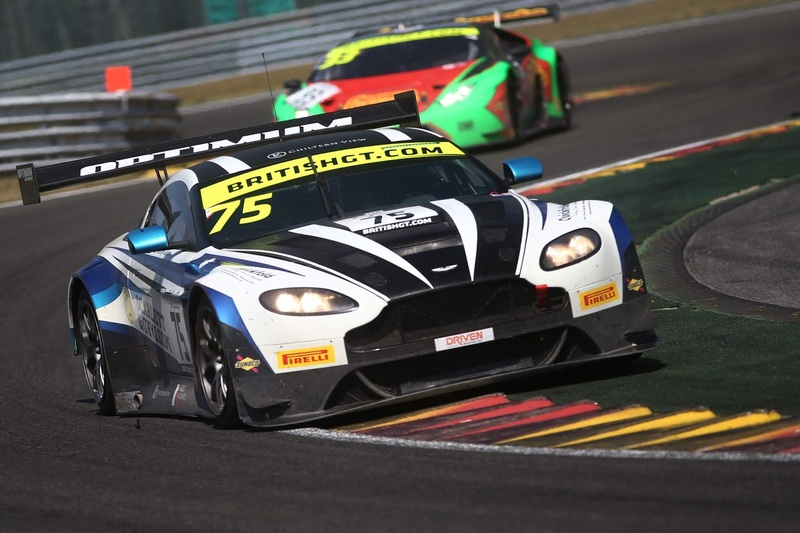 With the Scottish/Belgium racing line up presently residing down in P6 overall and technically not out of a shout of the Championship , Davidson was simply looking forward to another race at one of his favourite circuits but equally determined to race the others for another race win irrespective of who is ahead of them in the table so it appears that nobody can expect any concession on track from these guys!! When asked about his driving relationship with AMR Factory driver Martin, he confirmed that the Championship's Media Day was the first time they had shared a car together and that their racing relationship had taken a number of rounds to be where it should have been given any pre-season opportunity. Today, he said that given the chance and the situation again he would come back to the championship next year with the same overall package of car, team and co-driver (not that anything is confirmed for 2019 yet that is). Beechdean AMR will be looking to finish off their return t the Championship in the manner that they started it after what has been a bit of hit or miss affair (in terms of results) in the championship after another DNF for themselves at Spa after team boss Andrew Howard incurred damage to the front of his car in the opening lap. Despite the best efforts of the team to repair the damage (which they did) they also elected to box the car and save it for Brands. 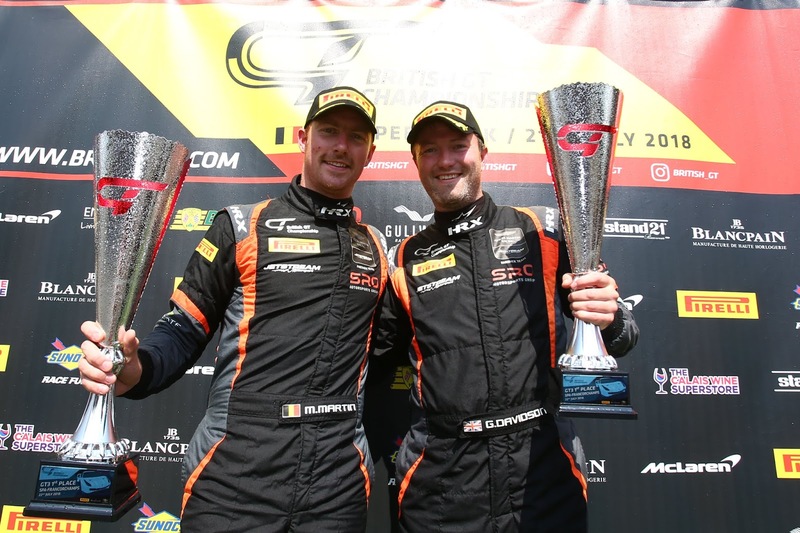 For the Pro driver within the team, Darren Turner, this weekend will be his first visit to the Kent circuit since his Touring Car days and will again be another circuit that this duo (as with several others) have not tested at this year so progress across the field should be progressive. 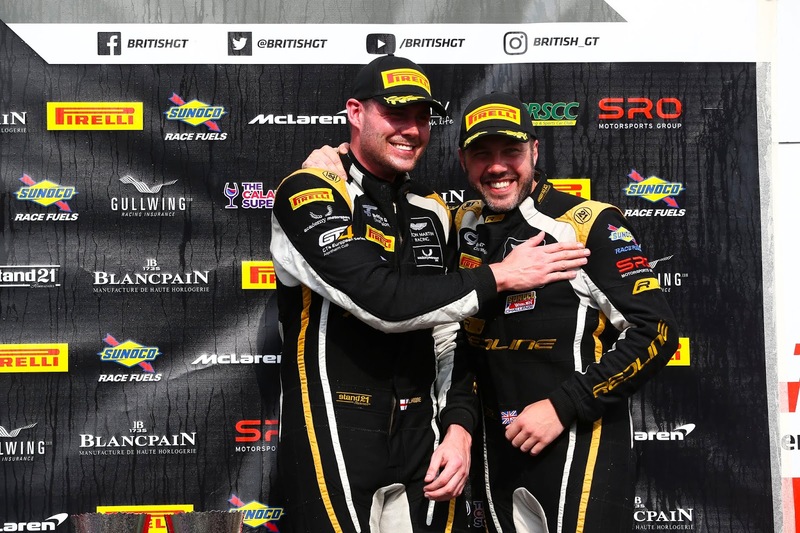 Completing the GT3 line up is the Ultimate Speed Vantage GT3 of Mike Brown and Matt Manderson for their second visit to the championship. Over in GT4, the Academy Motorsport entry from Matt Nichol-Jones and Will Moore also retain a mathematical chance of lifting the Championship being twenty points behind the leading Century Motorsport BMW of Jack Mitchell. 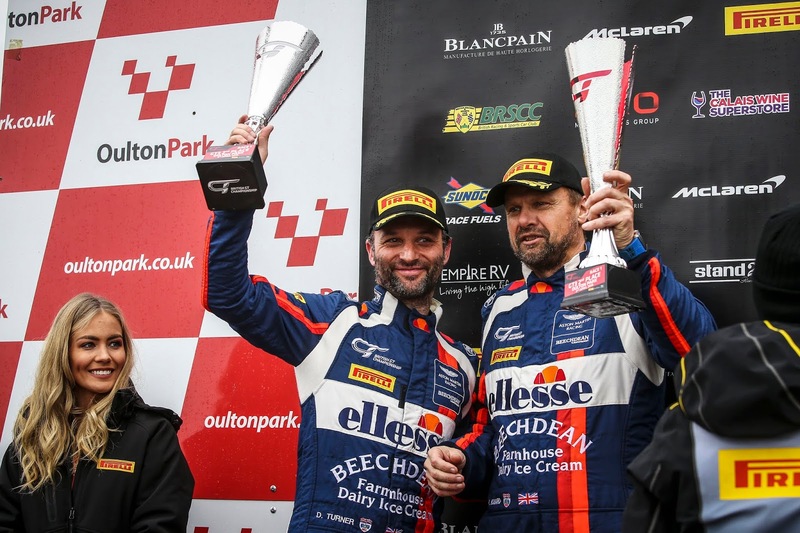 Brands Hatch has never been too kind to this duo in previous years with either technical issue or incident curtailing their race early so a podium finish would see that class going down to the wire at Donington as well. 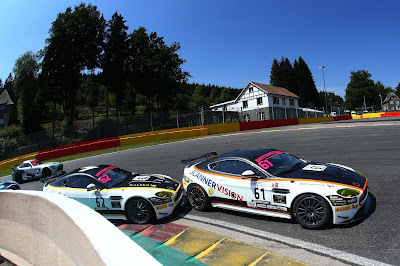 Team mates Jan Jonck and Tom Wood sadly endured another tough race to end their Spa race down in P9 having been blighted any an early puncture and then coming out on the wrong side of a Safety Car in what really has been a jinxed season for the youngsters! Sunday's race begins at 13:40Hrs.